Ted Thomas, best-selling author and publisher is best known as America’s Tax Lien Certificate and Tax Deed Authority. Thomas has sat for more than 200 radio and TV interviews, most recently on ABC, CBS, NBC and Fox and he has been recognized in Newsweek, USA Today and the Wall Street Journal. Ted Thomas is the go-to guy when people want to discover how to invest in secure government certificates that pay 16% and 18%. Ted Thomas organization is the single largest Source of Tax Lien Certificate & Tax Deed Informational Products in the World...To Help You... We are knowledge brokers and we provide financial solutions in many forms. 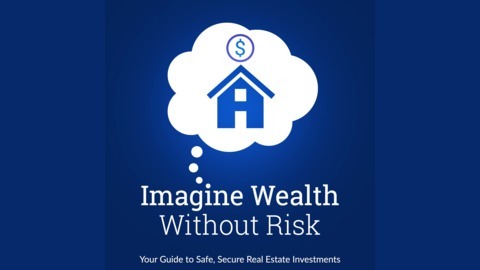 Chris Prefontaine is the best-selling author of Real Estate On Your Terms. 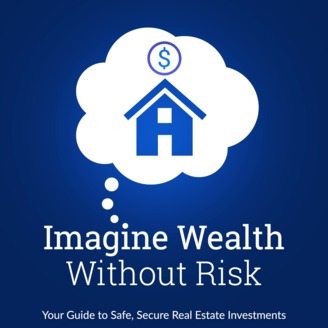 A real estate investor with over 27 years of experience in the field, Chris is the founder of Smart Real Estate Coach and host of the Smart Real Estate Coach Podcast. He lives in Newport, Rhode Island with his wife, Kim, and their family. Chris operates the family business with his son, Nick, his daughter, Kayla, his son-in-law, Zach, and an amazing team. Together, they are co-authoring the book: The New Rules of Real Estate Investing, to be released in 2019. Chris has been a big advocate of constant education. He and his family mentor, coach, consult, and actually partner with students around the country, teaching them to do exactly what their company does. Between their existing Associates nationwide and their own deals, Chris and his family are still acquiring 5-10 properties every month and control between $20 to $30 million dollars worth of real estate deals — all done on TERMS without using their own cash, credit, or signing for loans. Chris and his family believe strongly in giving back to the community. They currently support Franciscan Children’s Hospital in Brighton, MA, 3 Angels Foundation in Newport, RI, and the Wounded Warrior Project by giving a percentage of all deals to those causes. In the first section of this three-part episode, Ted Thomas discusses the safe wealth-building strategies he employs in his own investments. He details the incentives local governments offer to encourage investors to purchase tax lien certificates, and he highlights the important key details you need to know to maximize your returns. He explains the fundamental differences between tax lien certificates and tax deeds, and he shares why his investment strategy is ideal for anyone who wants a risk-free investment strategy that offers far better returns than the banks will offer. In the second section of the podcast, Ted brings in Bill Williams to talk with him about tax lien certificates and tax deeds and to address some of the common questions and concerns first-time investors may have when entering this investing niche. Ted explains why this is an ethical investment strategy that helps the delinquent homeowner, helps the local government, and profits you as the investor. Bill and Ted discuss the process for finding and bidding on tax deeds and tax certificates. How Chris and his family team buy on “terms”, without using a bank or personal credit and without paying cash outright. Which three funding methods Chris uses, including lease purchasing, owner financing, and buying subject to the existing mortgage. How Chris got involved in real estate over 27 years ago, and how his business has evolved to use different effective strategies over time. How Chris’s family business is structured, and how his family came into the business organically over time. Chris explains how many deals his family does a month. How Chris’s strategy gives him three paydays per deal, and how much Chris and his family average per deal they complete. Chris gives a hypothetical example of how three paydays per deal works. How long it takes for Chris’s average student to learn to use his system, and why it is important to allow at least six months to see your first success. How Chris’s coaching works, and how Chris’s family members are as involved in the coaching system as they are the real estate investment business. Which types of people are the right fit for Chris’s investor community, and what criteria Chris and his team look for in applicants. How the 2008 real estate market crash affected Chris’s business, and what steps he and his family team took to recover from the crash and then further scale their business.